The start of the warm, dry season in Myanmar is ideal for a cruise along the Irrawaddy River. And Avalon Waterways’ stylish new Avalon Myanmar ship is the way to do it. The journey takes you through jungles and mangrove swamps, across dry, dusty plains and past ancient sites. The cruise heads from the city of Yangon (home to a 213ft reclining Buddha) to Bhamo, the most northerly point ships can go, passing through the magical city of Mandalay on the way. There are temples, monasteries and pagodas galore, with 2,300 around the country’s early capital, Bagan, alone. The ship, which carries 36 guests, is an irresistible mix of colonial features and contemporary delights. 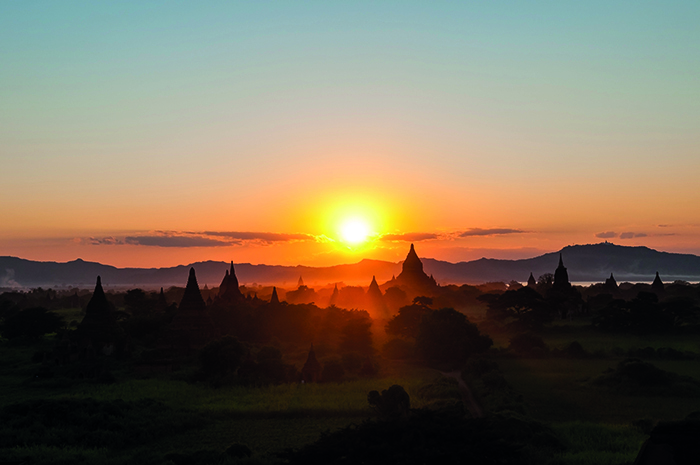 GETTING THERE: Avalon Waterways offers a 16-day Golden Myanmar and the Irrawaddy – Northbound cruise, departing 16 January, from £6,376pp including flights and VIP home pick-up service (0800 668 1843; avaloncruises.co.uk). 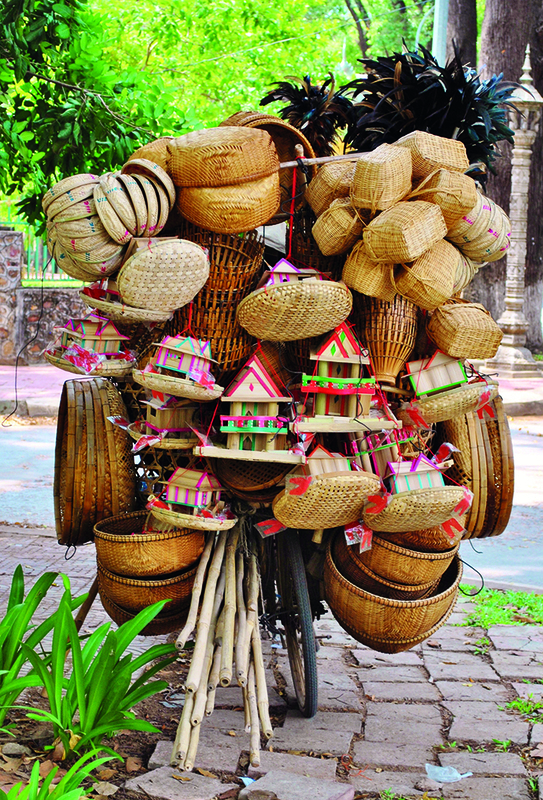 This is one of the best months to visit Vietnam, as the weather is bright and dry. Scenic’s classic Luxury Mekong cruise takes you from My Tho, near Ho Chi Minh City in Vietnam, to Siem Reap in Cambodia (the last stretch is by bus). The trip is luxurious, with Scenic’s exclusive Enrich experiences including a tuk-tuk trip to Phnom Penh’s Raffles Hotel for cocktails and a blessing from a monk in a Buddhist pagoda. Other must-dos include a tour of the Khmer Rouge Killing Fields, a sampan trip to a floating market and, of course, plenty of temple visits. Scenic Spirit, which launched in 2016, carries 68 guests, all of whom are housed in balcony suites. 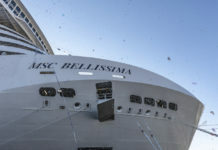 The ship also has a swimming pool, sauna and open-air cinema. GETTING THERE: Scenic offers a 12-day Luxury Mekong cruise, departing 11 February, from £4,390pp including flights (0808 163 4941; scenic.co.uk). Sail through the heart of Europe as the colours of spring start to illuminate the landscape. The river Rhine cuts through remarkable scenery, as evidenced on this Remarkable Rhine cruise, which heads from the Alps in Basel through Switzerland, Germany and France and into Holland, culminating in Amsterdam. If the weather is good, you could witness fields of blooming tulips. 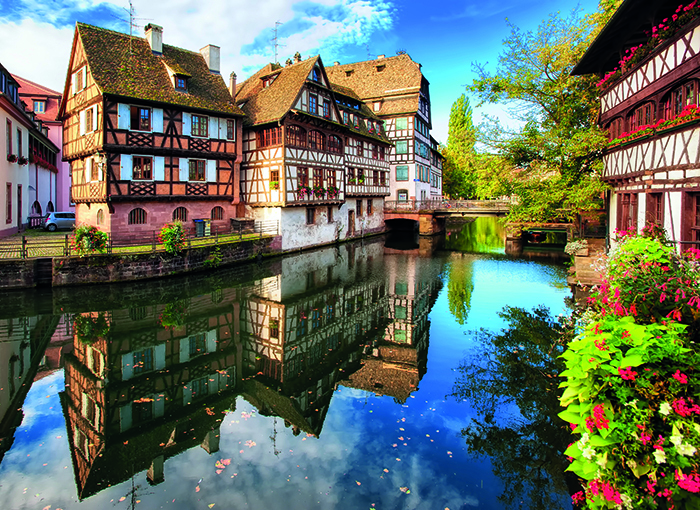 Excursions include cycle rides in Basel and along the flower-bedecked lanes of Petite France in Strasbourg, a stroll through Frankfurt (with pit stops to refuel on cider and sausages at the Klein Market Hall) and a guided hike up to the castle in the fairytale village of Bacharach. The trip is on River Empress, which is filled with Uniworld’s unique designs, a style that swings from ornate French to 1930s New York. 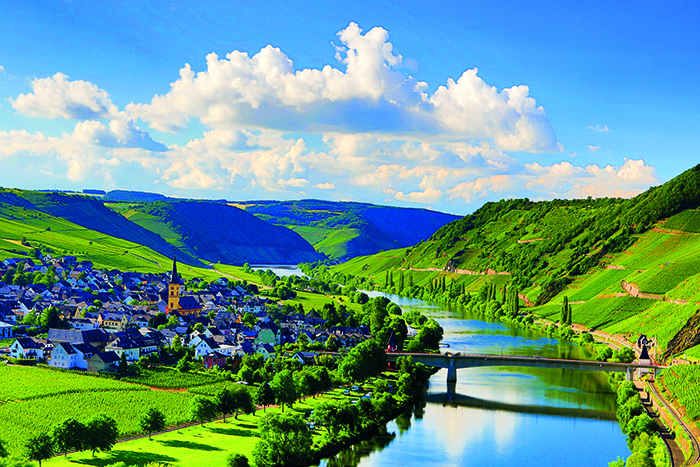 GETTING THERE: Uniworld offers a nine-day Remarkable Rhine cruise, departing 22 March, from £2,799pp all-inclusive, including flights and home pick-up service (0808 271 3362; uniworld.com). This is the ideal time to marvel at Hollands bulbfields – rows of vibrant tulips stretching into the distance. Riviera Travel’s round-trip cruise from Amsterdam sails to the scenic city of Enkhuizen at the edge of the Zuiderzee, an inlet of the North Sea where a man-made system of dams and dykes is one of the 20th century’s most fantastic feats of engineering. Following a stop at the maritime city of Rotterdam is a visit to the iconic polder region of Kinderdijk where 19 historic windmills line the canal banks. Perhaps the pinnacle of the trip is a drive through the Dutch bulbfields, a brilliant panorama of colour, to Keukenhof Gardens which boasts 80 acres of flower beds, lakes and lawns. The relatively small MS Jane Austen and MS Emily Brontë run this cruise, and both are smart and modern. 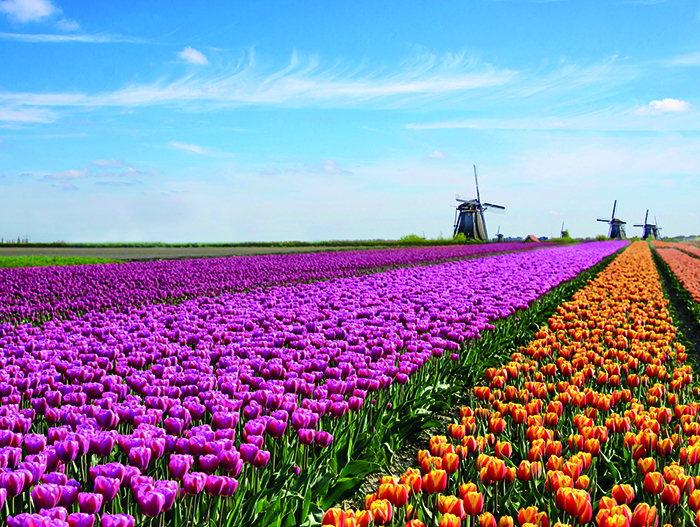 GETTING THERE: Riviera Travel offers a five-day Amsterdam, Kinderdijk and Dutch Bulbfields cruise departing regularly from Amsterdam, from £949pp including flights or Eurostar train (01283 888489; rivieratravel.co.uk). 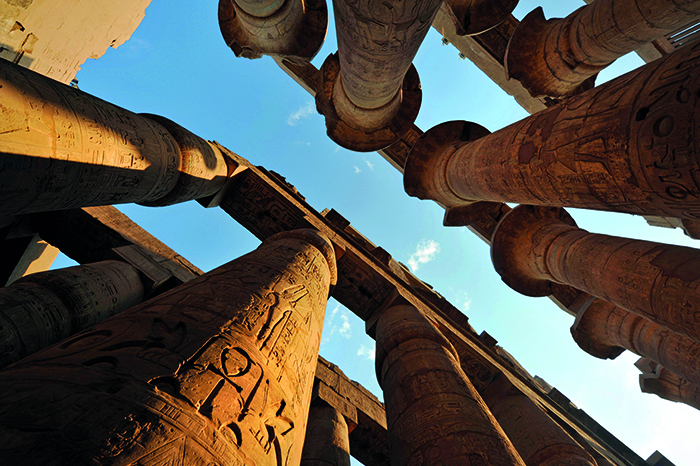 Wallow in the warmth of Egypt with a cruise-and-stay adventure that’s a complete escorted tour by ship and more. Sail on a round trip from Cairo to Aswan and back, packing in included excursions to the majestic temples of Luxor and Karnak, the tombs in the Valley of the Kings and a visit to the exquisitely-preserved burial place of the legendary Queen Nefertari in the Valley of the Queens, which is only open to a few visitors. The trip is bookended by four nights in Cairo, where a visit to the Pyramids includes a camel ride. The cruise is on Egypt’s newest ship, Viking Ra, a smaller vessel (it has capacity for just 48 guests) debuting in March and featuring the Scandinavian style of Viking’s European longships as well as inspired touches of Arabic design. GETTING THERE: Viking River Cruises offers a 12-day Pharaohs and Pyramids tour, departing 4 May, from £5,295pp including four nights in a Cairo hotel and flights (0208 780 7995; vikingrivercruises.co.uk). 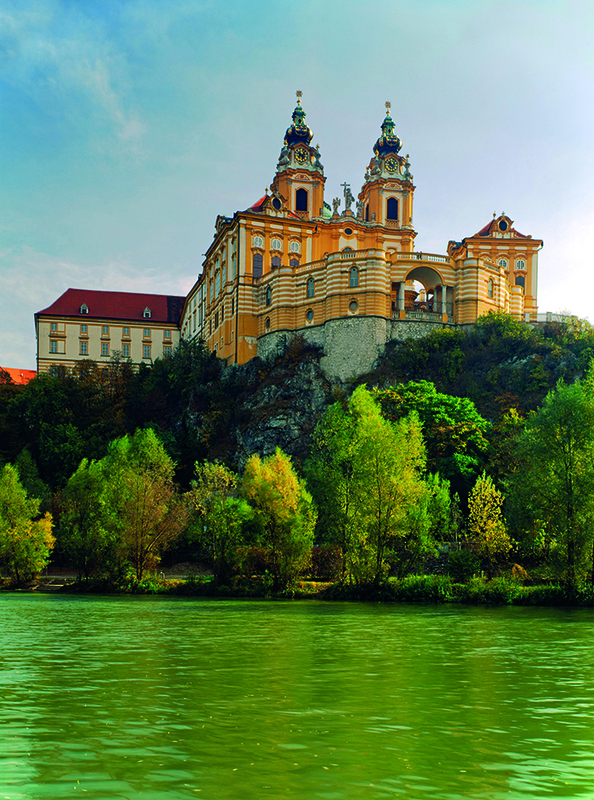 Head east on a cruise that departs from Budapest and follows the Danube to the fringes of the Black Sea, then retraces its steps, heading onward to Vienna. A joy for keen travellers, the trip takes in Austria, Romania, Slovakia, Hungary, Serbia and Croatia as well as four stupendous capital cities (Vienna, Belgrade, Bratislava and Budapest). 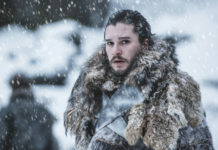 Highlights include cruising through the Iron Gates dividing Serbia and Romania, where the Danube flows between dramatic, wooded cliffs, an excursion to the ancient Romanian city of Constanta, the biggest port on the Black Sea and the country’s third largest city. MS Serenade 1 is Titan’s first dedicated river craft and made its maiden voyage in spring 2017. 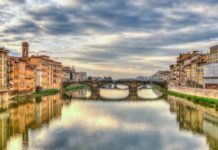 Stylish yet traditional, every aspect of the trip is geared towards its British-only clientele – from the cuisine to the excursion guides. The summer sun warms the Douro Valley like no other, making a cruise across the breadth of the country a divine mix of lazing on a deck-top lounger and visiting exquisite sites, many of which are involved in the production of wine and port. Emerald Waterways’ round trip from Porto visits some of the region’s loveliest spots, including Régua with its scenic riverfront, the pretty village of Pocinho and classical Vega de Terrón, just over the border in Spain and the gateway to the grand Spanish city of Salamanca (which is included as one of the excursions). 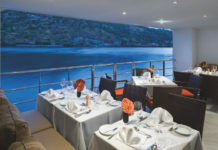 Emerald Radiance is the company’s most intimate ship, with room for only 112 guests, and built especially to manoeuvre the twists and turns of the Douro. Prepare for plenty of wine-tasting, both on and off the ship, and a heavenly pool to cool off in. 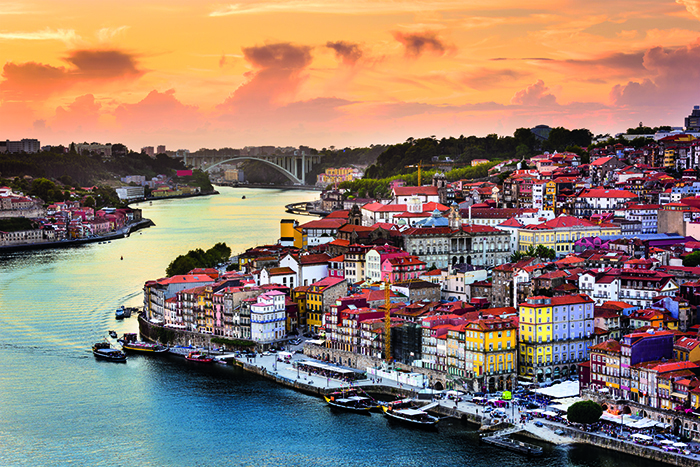 GETTING THERE: Emerald Waterways has an eight-day Secrets of the Douro cruise, departing 21 July, from £2,145 all-inclusive including flights (0808 149 3926; emeraldwaterways.co.uk). There’s nothing nicer than slipping through the heart of Europe in high summer, the warmth of the sun and the occasional breeze providing the perfect conditions for appreciating the passing scenery. This cruise covers a classic stretch of the River Danube, sailing from the charming Bavarian town of Vilshofen to the Hungarian capital of Budapest. 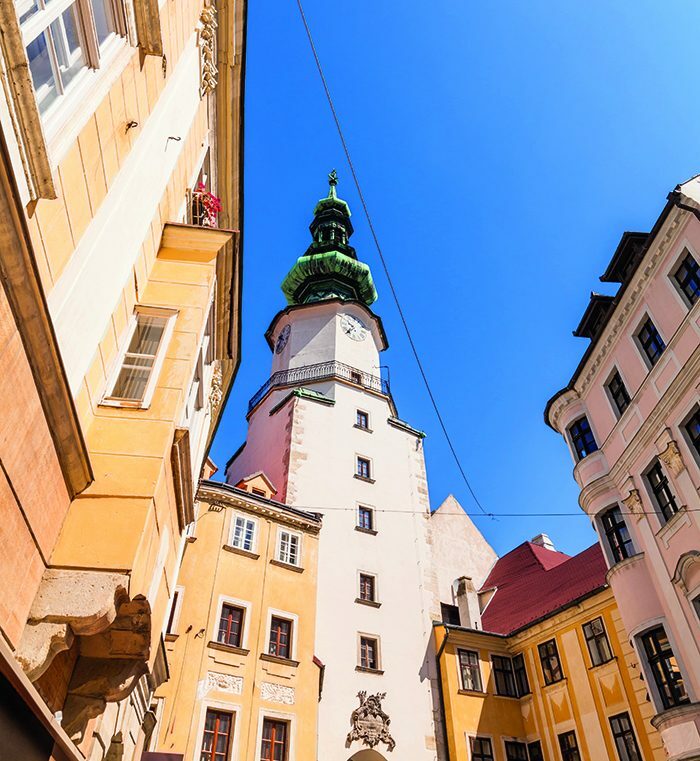 There’s a day in Vienna, one of Europe’s great classical capitals, as well as stop-offs in Austria’s chocolate box city of Melk, complete with picturesque hillside abbey and the medieval city of Bratislava in Slovakia. Guests can also take excursions to Salzburg, a World Heritage Site, and the historical town of Krems with its narrow, cobbled streets. AMAViola, which launched in 2016, carries 156 passengers, in a style reminiscent of luxury yachts – there’s even a swim-up bar. Enjoy local food from Chaîne des Rôtisseurs and use the free onboard bikes to explore. GETTING THERE: Barrhead Travel offers a seven-night Romantic Danube cruise, departing 3 August, £1,499 including flights (0800 484 0310; barrheadtravel.co.uk). As the seasons start to change, take a glorious cruise across Russia on two rivers, the Volga and the Svir. The voyage unites Moscow and St Petersburg (with several nights in each), reaching places so remote few tourists visit. Feel the vastness of the country as you cross the expanse of Lake Onega, home to Kizhi, a monumental island museum, and UNESCO World Heritage Site, comprising wooden houses, windmills and churches. 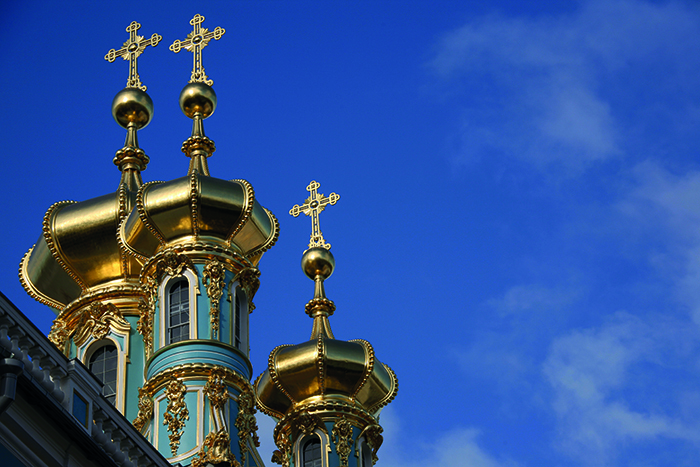 In St Petersburg, enjoy an excursion to the Winter Palace and its Hermitage Museum, and another trip to Catherine Palace, the Rococo summer residence of the tsars. A city tour is included in Moscow, as well as one that takes you behind the scenes of the Kremlin. Viking River Cruises has five ships devoted to this Russian odyssey, all modest in size but with modern facilities and food cooked with a local twist. GETTING THERE: Viking River Cruises offer a 13-day Waterways of the Tsars cruise, departing regularly, from £3,595 including flights and wine with meals (0800 319 6660; vikingrivercruises.co.uk). America’s fall colours are legendary and the foliage on the trees lining the mighty Mississippi is second to none. 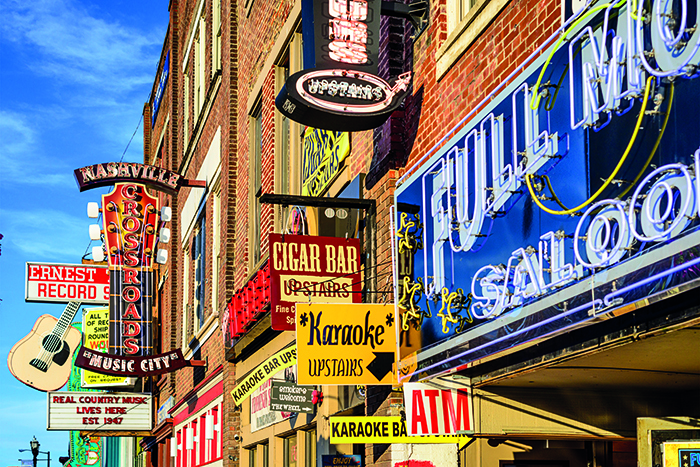 American Queen is an authentic paddlewheeler and offers an unbeatable combination of luxury amid Victorian décor This extraordinary trip combines a seven-night Memphis to New Orleans cruise with a night in Atlanta, two nights at the Opryland resort in Nashville, two in Memphis and one in New Orleans, including city tours and trips to Elvis’s Graceland home and Nashville’s Country Music Hall of Fame. 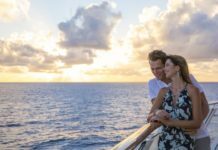 The cruise is a dreamlike drift through the Deep South, where the cities, with names like Vicksburg, Natchez and Baton Rouge are rich in Antebellum mansions and Civil War history. 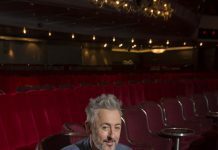 The ship is an attraction in itself: watch the passing scenery from the comfort of a rocking chair by day, and when night falls sip a bourbon in the bar that looks onto the crashing paddlewheel. 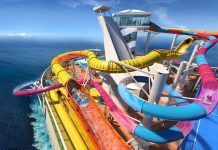 GETTING THERE: Titan Travel offer a 16-day Journey on the Mighty Mississippi cruise, departing 24 October, from £6,099pp with flights, wine with meals and VIP door-to-door travel service (0808 252 5932; titantravel.co.uk/cruiseinternational). Celebrate crisp winter weather on this Rhine river cruise which ends within sight of the snowy Alps. Christmas cheer is making itself felt by now, with the twinkling lights of seasonal markets illuminating the late afternoons. This trip takes you from the bright lights of Amsterdam (where you have two days to explore the museums, canals, shops and bars) to the picturesque Swiss city of Basel, where you’ll find winter well and truly under way. 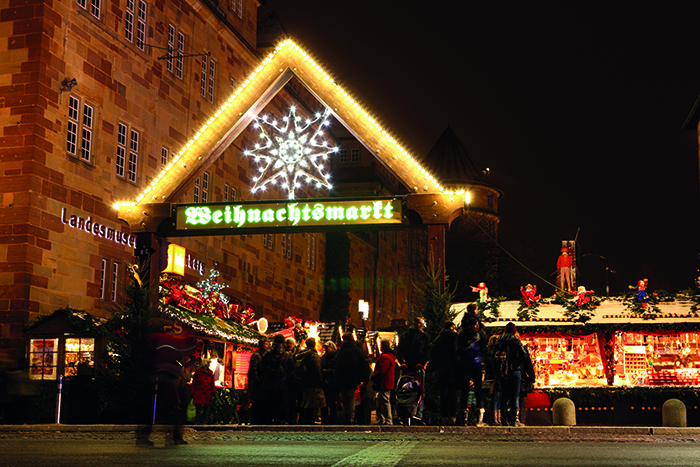 Cologne is a great place to visit at this time of year, with not one but five Christmas markets. And Koblenz, where the Rhine meets the Moselle, is equally atmospheric, like many other fairy tale German towns. Crystal Debussy is a futuristic ‘river yacht’, offering six-star service for its 84 guests. GETTING THERE: Bolsover Cruise Club is offering a 10-night Amsterdam to Basel cruise, departing 12 November, from £3,125pp, all-inclusive, with flights (0800 917 9688; bolsovercruiseclub.co.uk). Get the glühwein ready for a Christmas extravaganza on the Danube, visiting a string of iconic destinations. In Budapest, the Váci Utca street fair is a great place to buy seasonal crafts and sample foodie treats. And in Vienna you can take your pick from 15 markets spread across grand squares and parks. The historic charm of Bratislava in Slovakia makes it look like Christmas even when it’s not, and there are yet more fabulous markets here. But if you’re really seeking medieval Christmas cheer, wander the cobbled streets of Regensburg in Germany’s beautiful Wachau Valley where the Christkindlmarkt offers the ultimate in quaint seasonal charm. The cruise takes you from the city of Nuremburg in Germany to Budapest in Hungary, and there are plenty of sights along the way. Emerald Waterways’ Star-Ships are cool and modern and have the added benefit of an indoor swimming pool.